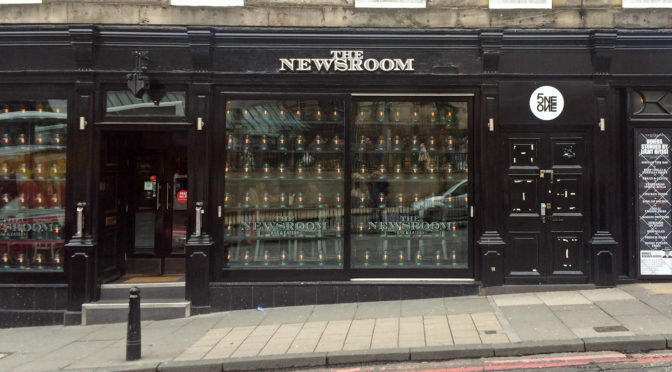 The Newsroom is UPTOWN in the centre of Edinburgh, a 2 minute walk from Waverley station. Cash and Booze! Bottle of wine and £50 cash rollover per week. It can get high! The Newsroom does food up until 9pm (correct as of November 2015). Lasagne, Burgers, all that good stuff.